Not to be confused with Jama’atu Nasril Islam. Nusrat al-Islam, officially known as Jama'a Nusrat ul-Islam wa al-Muslimin' (JNIM) (Group to Support Islam and Muslims (GSIM)) is a militant jihadist organisation in the Maghreb and West Africa formed by the merger of Ansar Dine, the Macina Liberation Front, Al-Mourabitoun and the Saharan branch of Al-Qaeda in the Islamic Maghreb. It is the official branch of Al-Qaeda in Mali, after its leaders swore allegiance to Ayman al-Zawahiri. On 2 March 2017, Iyad Ag Ghaly, Al Murabitoun’s deputy leader, Hassan Al Ansari, Yahya Abu Hammam, Amadou Kouffa, and Abu Abderaham al-Sanhaji appeared in a video declaring the creation of Nusrat al-Islam, and their allegiance to al-Qaeda Emir Ayman al-Zawahiri, AQIM's Emir, Abdelmalek Droukdel, and Taliban Emir, Hibatullah Akhundzada. They also praised killed al-Qaeda leaders Osama Bin Laden and Abu Musab al-Zarqawi. On 16 March, Abdelmalek Droukdel released an audio message, approving the union between the groups. 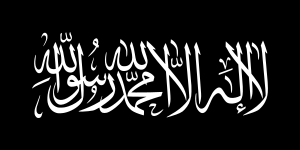 On 19 March, Al-Qaeda issued a statement approving the new group and accepting their oath of allegiance. March 6, 2017: JNIM attacked a military checkpoint in Mali, killing 11 Malian soldiers. March 15, 2017: JNIM again attacked a military post, killing 2 soldiers and two civilians. March 22, 2017: JNIM fighters joined Fulani militias in a revenge assault against Bambara militias, killing 10 of them. March 26, 2017: JNIM claimed 3 attacks against military posts in Mopti Region and Macina. April 8, 2017: JNIM and Ansar Dine's branch in Burkina Faso, Ansar ul Islam, attacked a French base in Douna, killing one, and wounding two French soldiers. April 17, 2017: Two Chadian soldiers and one civilian were seriously injured, by an suspected JNIM IED planted in a road of Tessalit. In the same day, JNIM captured a Malian army base in Gourma-Rharous, killing four Malian troops, and wounding dozens of others. Also, the group seized many armed vehicles and ammunition, but later withdrew when French soldiers arrived. Six jihadists also killed during the battle. April 29-30, 2017: Malian and Burkinabé forces conducted operations on the borders with Mali. This led to the destruction of what appeared to be an important logistical base JNIM ally, Ansar ul Islam. At least 20 militants were killed and Ansar ul Islam's arms and explosives were destroyed. May 3, 2017: JNIM attacked a United Nations peacekeeping camp in the city of Timbuktu with six mortar shells, killing one Liberian peacekeeper, and wounded more that 9, among them, 3 Swedish Army soldiers based there. May 7, 2017: JNIM "commandos", led by a fighter named Ahmed al Ansari, conducted an assault in the city of Gao. The jihadists attacked and disabled a communications tower outside of Gao, then attacked a Malian army base inside the city with a suicide bomber. After the suicide bomber disabled many troops, the other jihadists entered the base, and battle ensued. The raid killed 7, wounded 16, and captured another 17 Malian soldiers. The group, also looted the base and seized weapons, ammunition, and at least 3 military vehicles. It is not known if the group suffered any casualties, other than a suicide bomber, but it withdrew after the sight of French troops. May 15, 2017: JNIM attacked again the camp that attacked in May 3, with mortar shells, wounding more than 6 Burkinabé peacekeepers, and 3 Malian soldiers. June 9, 2017: JNIM mortars killed 3 UN peacekeepers and wounded 8 more in an army base in Kidal. June 18, 2017: Gunmen attacked a resort complex outside Bamako. Three civilians and two military personnel were killed, along with four attackers. JNIM claimed responsibility. ^ "US warns of growing African terror threat". CNN. 19 April 2018. ^ 11, Dakaractu. "Un nouveau mouvement djihadiste est né au Burkina Faso". Retrieved 12 April 2017. ^ Buchanan, Elsa (3 April 2017). "Mali: Terror threat spreads after Sahel groups join forces to create new jihadist alliance". ^ AP (3 March 2017). "Three Islamic extremist groups of Mali merge, pledge to al-Qaida". Retrieved 12 April 2017 – via Business Standard. ^ Reuters. "Al Qaeda branch rallies jihadists to join forces after Mali merger - defenceWeb". Retrieved 12 April 2017. ^ "Jama'a Nusrat ul-Islam wa al-Muslimin / Group for the Support of Islam and Muslims (GSIM) -- AQIM, Ansar Dine, Macina Liberation Front & Mourabitounes Coalition - Terrorist Groups - TRAC". Retrieved 12 April 2017. ^ @Rita_Katz (20 March 2017). "2) Message comes 2days after #AQIM..." (Tweet). Retrieved 12 April 2017 – via Twitter. ^ @Terror_Monitor (19 March 2017). "#AlQaeda Central Welcomes Merger Of..." (Tweet). Retrieved 12 April 2017 – via Twitter. ^ "11 soldiers killed in attack on Mali military camp". Retrieved 12 April 2017. ^ "Attack by new jihadist front in Mali indicates Sahelian expansion targeting local, foreign troops - IHS Jane's 360". Retrieved 12 April 2017. ^ "Al Qaeda entity involved in communal violence in central Mali - FDD's Long War Journal". FDD's Long War Journal. ^ "Ségou : Comment les djihadistes de Kouffa ont tué au moins 10 miliciens Dozo ?". 24 March 2017. ^ @siteintelgroup (26 March 2017). "AQ's Nusrat al-Islam wal Muslimeen..." (Tweet). Retrieved 12 April 2017 – via Twitter. ^ "Al Qaeda entity involved in communal violence in central Mali - FDD's Long War Journal". Retrieved 12 April 2017. ^ "JNIM claims ambush on French troops in Mali - FDD's Long War Journal". FDD's Long War Journal. ^ Unies-DPI/NMD, Nations (18 April 2017). "Centre d'actualités de l'ONU - Mali : deux Casques bleus et un civil blessés par un engin explosif ou une mine dans la région de Kidal". Centre d'actualités de l'ONU. ^ "JNIM claims number of attacks across Mali - FDD's Long War Journal". FDD's Long War Journal. ^ "JNIM shows spoils from deadly assault near Timbuktu - FDD's Long War Journal". FDD's Long War Journal. ^ "Jamaat Nusrat al Islam wal Muslimin claim responsibility for attack in Mali - Jane's 360". www.janes.com. ^ Lyammouri, Rida. "Mali – Sahel: April 2017 Violent Incidents Related to AQIM, Ansar al-Din, JNIM, and Other Security Incidents - Sahel Memo". ^ "Mali-Burkina Faso : Une vaste opération de ratissage de soldats français, Burkinabès et maliens est en cours dans la province de Soum". 4 April 2017. ^ Section, United Nations News Service (4 May 2017). "UN News - 'Blue helmet' killed in attack on UN Mission camp in Timbuktu, Mali". UN News Service Section. ^ Försvarsmakten. "Attack mot den svenska campen i Mali". Försvarsmakten. ^ "Nord du Mali: deux soldats maliens tués dans une attaque (sources militaires)". 7 May 2017. ^ "Malijet Sept soldats maliens tués dans une attaque dans le nord du Mali Bamako Mali". malijet.com. ^ "kibaru - Attaque terroriste survenue à Almoustarat : Le bilan s'alourdit". kibaru.ml. ^ "JNIM targets Malian base in suicide assault - FDD's Long War Journal". FDD's Long War Journal. ^ "JNIM claims mortar barrage on UN forces in Timbuktu - FDD's Long War Journal". FDD's Long War Journal. ^ "kibaru - Tombouctou : Une nouvelle attaque contre le camp de la MINUSMA fait plusieurs blessés". kibaru.ml. ^ "kibaru - تمبكتو- ثلاثة جرحى في هجوم ضد نقطة تفتيش للجيش في كابرا". kibaru.ml. ^ "Al-Qaeda-linked group claims deadly UN base attack - Vanguard News". 9 June 2017. ^ "Al-Qaeda Coalition Claims Mali Hotel Attack that Killed Five". newsweek.com. ^ "Al Qaeda group claims assault near Mali capital - FDD's Long War Journal". 20 June 2017. This page was last edited on 8 April 2019, at 14:20 (UTC).